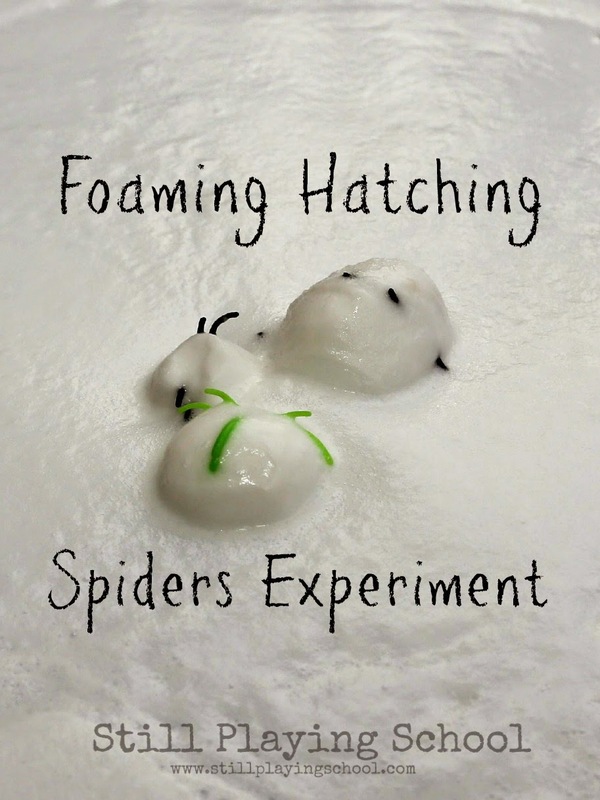 We watched spiders emerge from totally cool and creepy "egg sacs" for sensory and fine motor fun spider hatching! From Glowing Spider Webs to Spiders in Play Dough and Sewing Webs, we've been arachnid obsessed around here this Halloween! 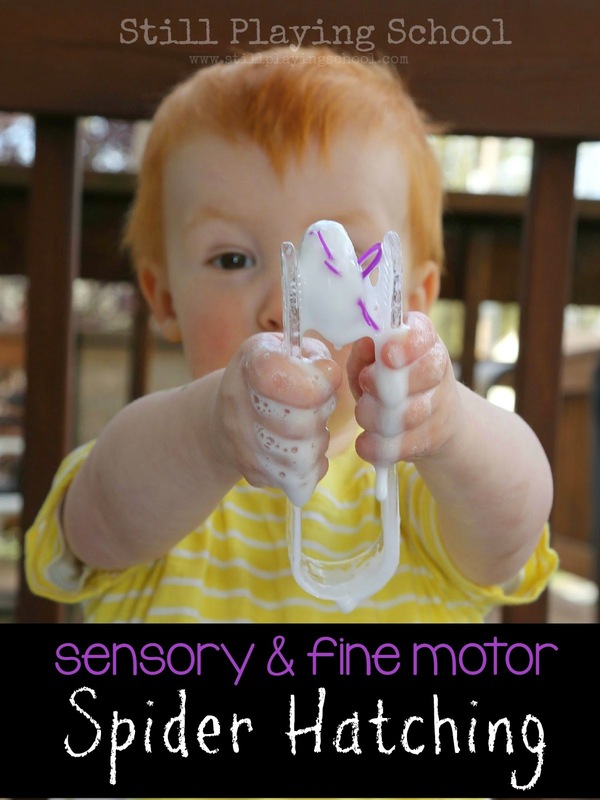 For this activity, we froze spider rings in a baking soda mixture just like our Sensory Fizzing Dinosaurs. In order to hatch the spiders from their eggs and make lots of fizz our preschooler used an eye dropper to add vinegar. For an extra spooky sensory twist, we presented this invitation to explore on our ALEX Toys Prism Light Center! I added tongs for extra fine motor work. 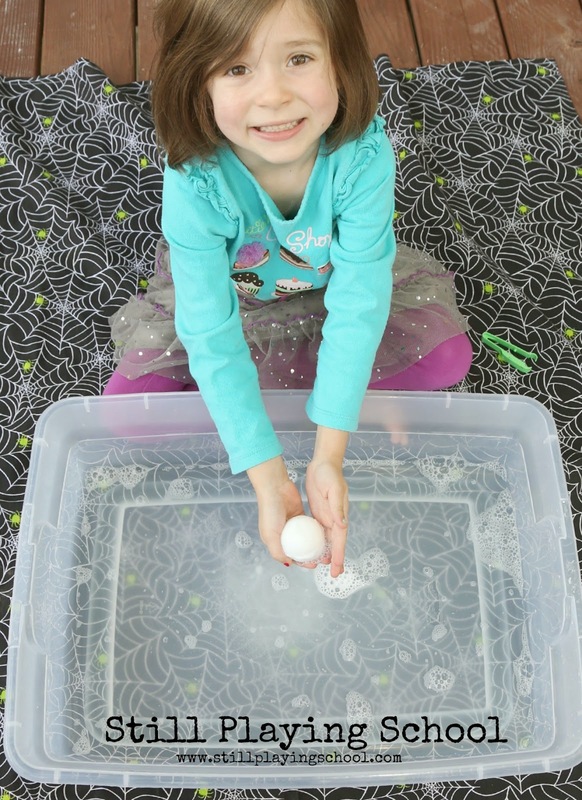 This was ideal for our preschooler E because she did not like the cold chill of the frozen baking soda balls that we made in our silicon ball ice molds. We also dropped a few of the spider eggs in a vinegar and dish soap mixture outside. 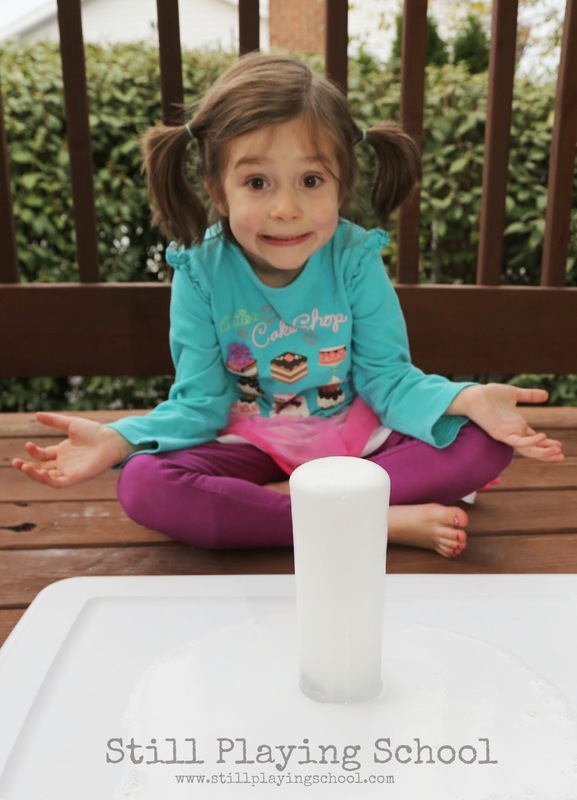 Fun at Home with Kids inspires us with their foaming frozen baking soda and vinegar experiments! 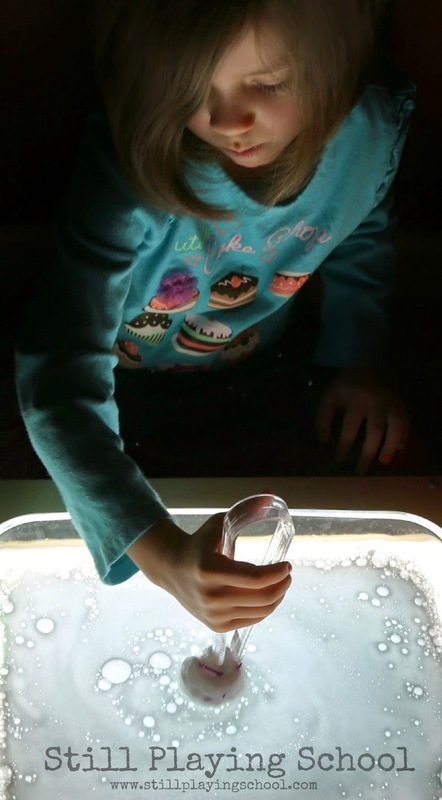 Our preschooler and toddler were really motivated to use their fine motor skills to free the spiders from their eggs. 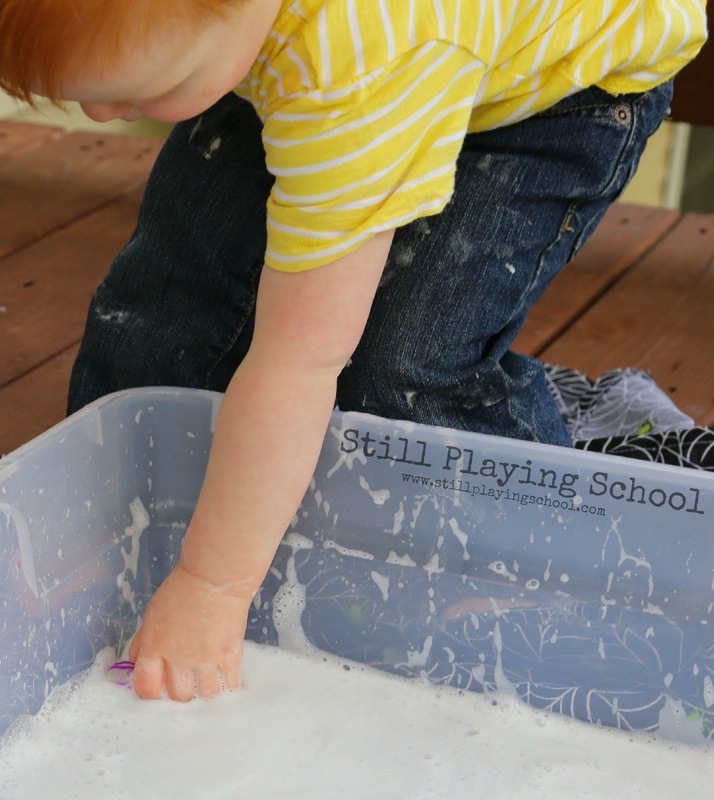 Toddler D dug right into the bin flinging foam everywhere! 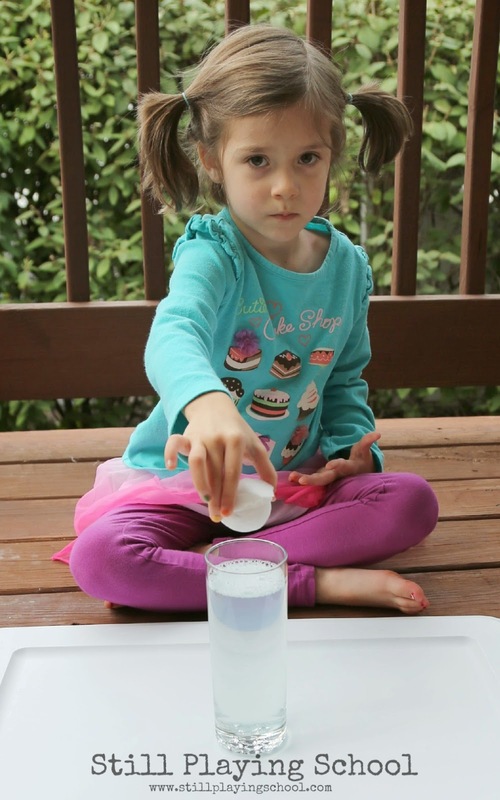 We only had a bit of vinegar left so we put it in a tall, narrow glass with a squirt of dish soap. What would happen if we dropped a spider egg in the glass? Oh, my! 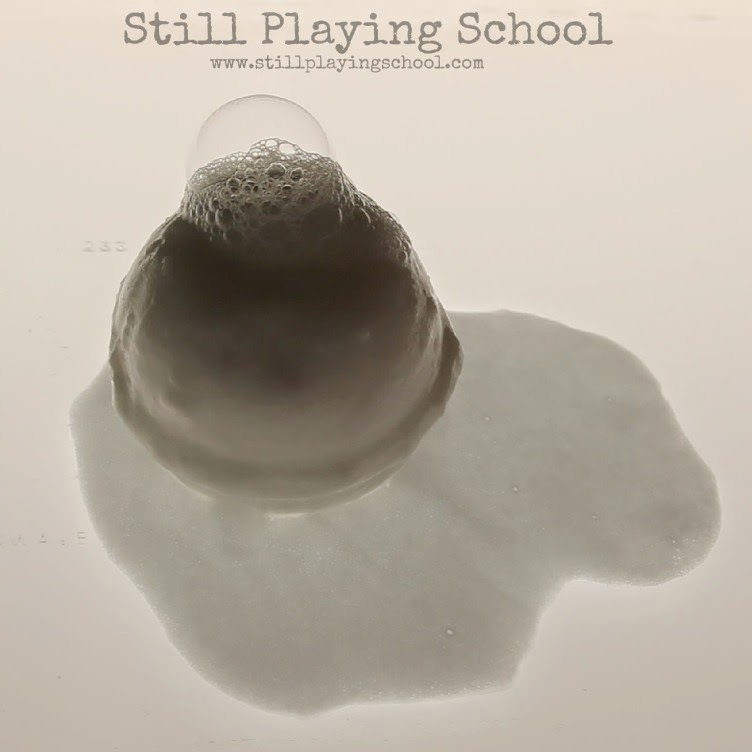 The foam kept growing and growing until it overflowed all over the place! We all loved this part! 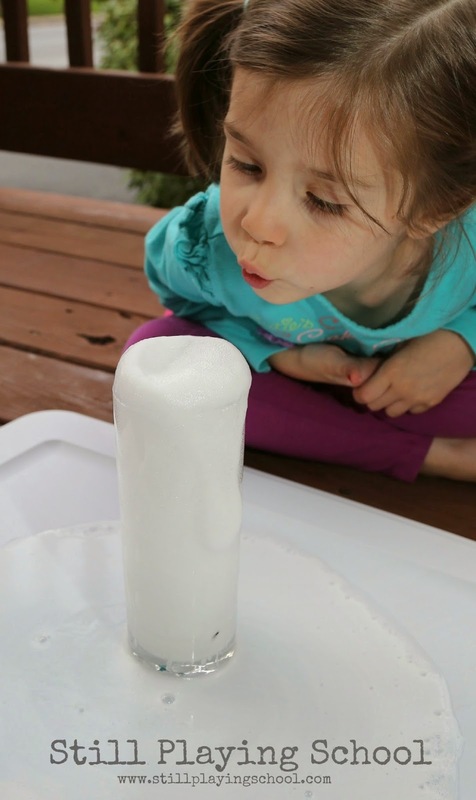 The kids tried blowing on the foam to push it off of the top of the glass. It would slowly grow and overflow again and again! D could hardly believe his eyes! It was so much fun to watch the kids sit across from each other observing this experiment from both sides. 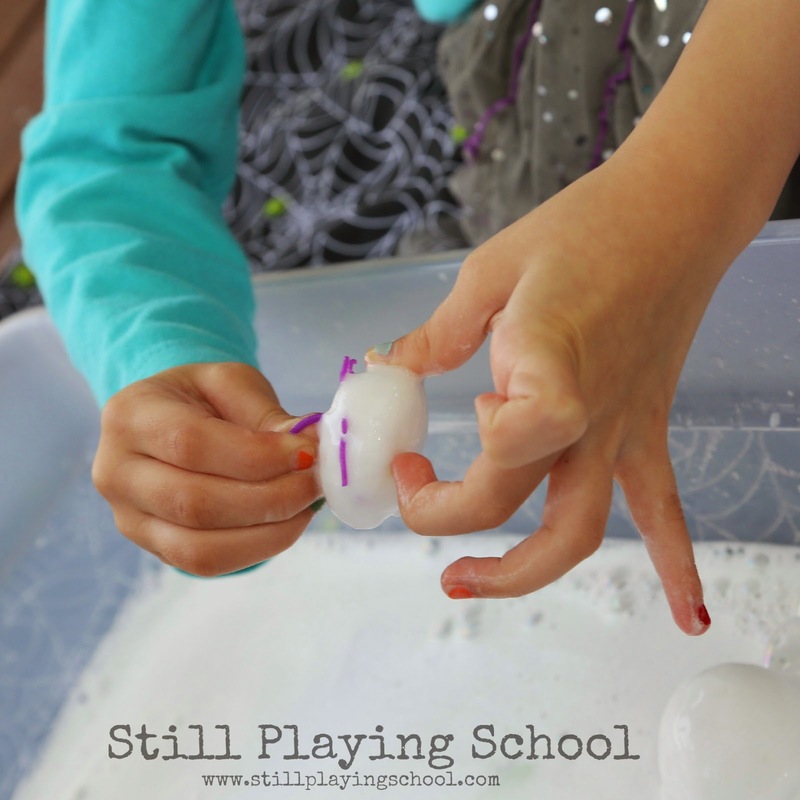 We loved all three ways to play with our frozen spider eggs but I think the last one was the most exciting of all! What do you think? Which hatching technique would your kids enjoy most?